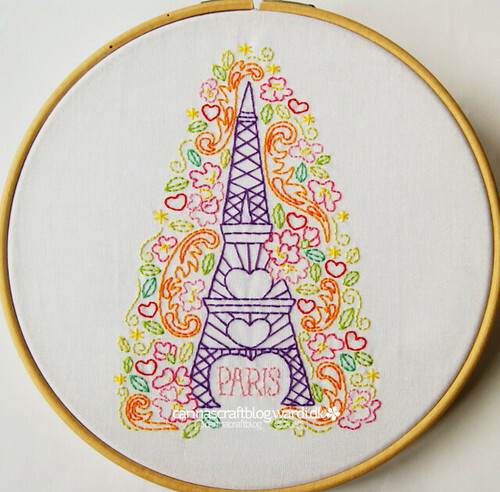 polka & bloom: Paris Spring - new embroidery pattern! 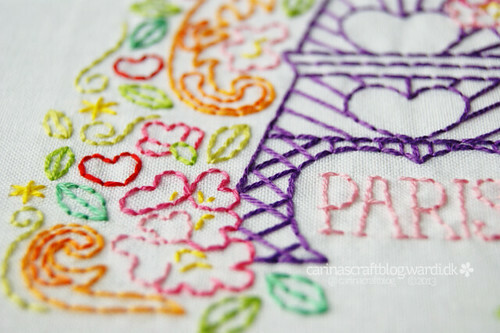 Paris Spring - new embroidery pattern! Happy April! Is it spring yet? It's so cold here in the UK, we're still wearing our winter coats. Where's the sun, the warmth? The pattern is inspired by Paris Metro signs, Art Nouveau (with all its curly and swirly bits) and of course the Eiffel Tower. It's not a naturalistic Tour Eiffel, because that would just be boring! Acabo de conocer tu trabajo a través de DMC y me parece precioso.